Do you know students who need help getting started with research? Are you curious about how students can start doing research? 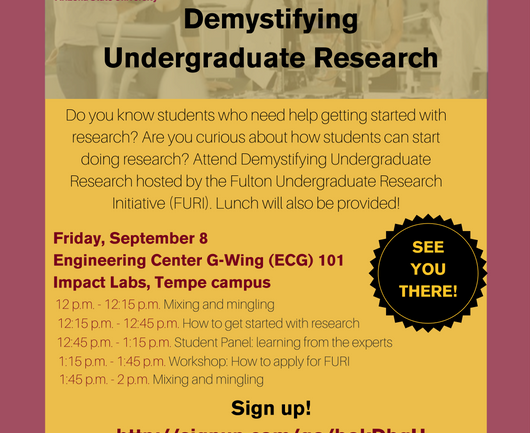 Attend Demystifying Undergraduate Research hosted by the Fulton Undergraduate Research Initiative (FURI). Lunch will also be provided! 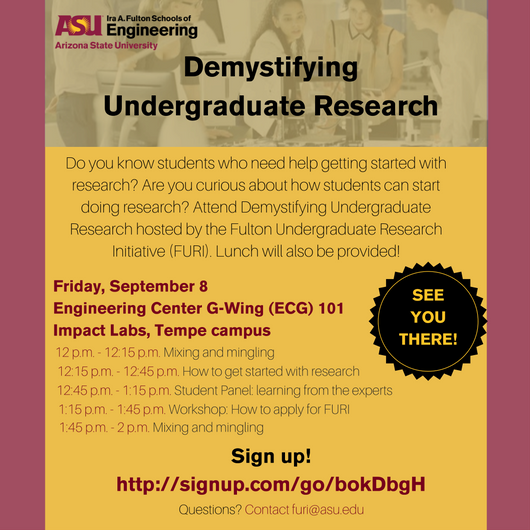 Demystifying the process by connecting with student researchers, faculty and staff who can help you get started. Throughout this event, you’re invited to pop-in for any of the 15-minute break-out sessions hosted by research experts in the event room. 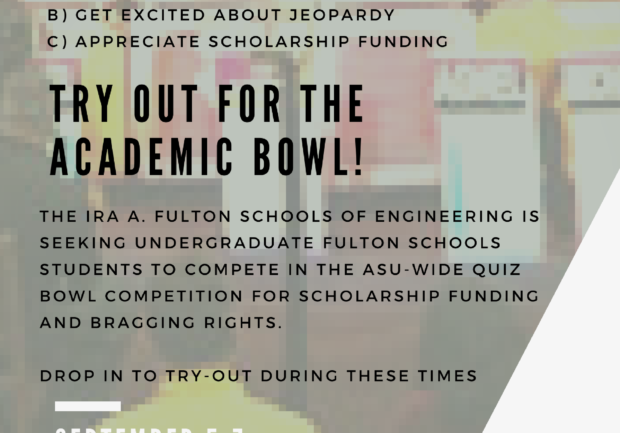 We’ll discuss how can students can pursue fields connected to their major, work with a faculty member who directs a project that interests them, or try a new and different research field. A similar event will be hosted at the Polytechnic campus, dates to be announced.